This Situation Update describes events occurring in Kyainseikgyi and Kyonedoe townships, Dooplaya District during the period between November and December 2017, including information about education, healthcare, development, livelihoods and military activities. In 2017, Noh Paw Wah School was built in Noh Hpaw Wah village, Kyainseikgyi Township. 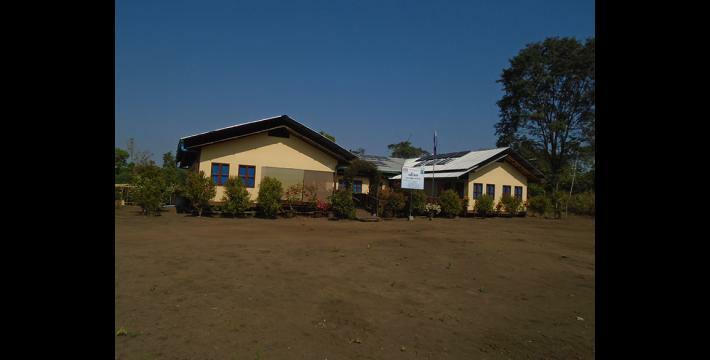 This school uses the Karen Education Department (KED) curriculum. The school leaders are now facing challenges, however, because the Burma/Myanmar government ordered them to register the school with the Burma/Myanmar education system. On November 10th 2017, a pregnant woman in Htee Saw Shee Nee village, Htee Guh Thaw village tract died during delivery due to inadequate healthcare services and a lack of medical supplies in the village. In December 2017, local people in Kyainseikgyi Township faced challenges with a road construction company called Man Myit Hein Company. The local construction workers were not paid the wages that were agreed upon before they started work. They were threatened by the chief worker known as U Htun. Some workers decided to leave the job without receiving any salary. In November 2017, Tatmadaw Light Infantry Battalion (LIB) #283, led by the Company Commander Myo Khaing Zaw, based in Hset Ko Maing village, Kyainseikgyi Township, entered the restricted area of the local military Democratic Karen Benevolent Army (DKBA). The following Situation Update was received by KHRG on February 9th 2018. It was written by a community member in Dooplaya District who has been trained by KHRG to monitor human rights conditions. It is presented below translated exactly as originally written, save for minor edits for clarity and security. This report was received along with other information from Dooplaya District, including two other interviews and 69 photographs. This Situation Update describes events occurring in Noh T’Kaw [Kyainseikgyi] and Kyonedoe townships, Dooplaya District during the period between November 15th and December 25th 2017, including information about education, healthcare, development, livelihoods and military activities. 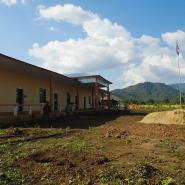 In 2017, Noh Paw Wah School was built in Noh Hpaw Wah village, Hpah Wah Kloh village tract, Noh T’Kaw [Kyainseikgyi] Township, Dooplaya District. This school currently uses the Karen Education Department (KED) curriculum and is also connected with Thoo Mweh Hkee School [a high school located in Phoh Phra, Thailand]. A responsible leader [the community pastor] named Thara Eh K’ter from Thoo Mweh Hkee School arranged to build this school [Noh Paw Wah School] in Karen State because Thara Eh K’ter was concerned that students in local villages have limited opportunities to attend Burma/Myanmar government schools after graduating from Standard Four in their village’s primary school. This is because students in local villages cannot afford the cost of continuing their studies. 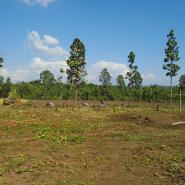 Therefore, Thara Eh K’ter negotiated with Dooplaya District leaders to establish this school [Noh Paw Wah School]. Eventually, the District leaders allowed for this school to be built, and it was successfully built in 2017. In the starting year , there were more than 40 students and six teachers in the school and the class levels went up to Standard Seven. The responsible leaders in the school planned that the number of standards in the future will be increased when the situation is improved [when there is adequate financial support]. However, the school is now facing challenges with the Burma/Myanmar government, as they [the Burma/Myanmar government] are not allowing the school to operate independently and say that it is supposed to join with a Burma/Myanmar government school. The Burma/Myanmar government wants every school that goes beyond Standard Four to be under the Burma/Myanmar government school administration. As Noh Paw Wah School goes from Standard One to Eight, the Burma/Myanmar government considers it inappropriate that it does not use the Burma/Myanmar education curriculum. 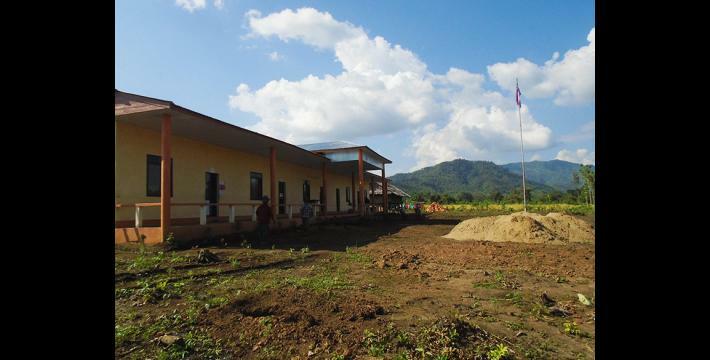 In this case, the Karen National Union (KNU) has to organise this school in order to protect the school from registering under the Burma/Myanmar government, allowing it to continue to operate smoothly. In other news, a villager in Htee Saw Shee Nee village, Htee Guh Thaw village tract, Kruh Tuh [Kyonedoe] Township reported that students are facing challenges with the new Burmese reading and writing style [based on curriculum updates]. The spellings of words have been changed and students are struggling to read and write. On December 14th 2017 in Htee Guh Thaw village (Th’Waw Hpah Doh section), Htee Guh Thaw village tract, Kyonedoe Township, a village tract leader reported that there are two clinics in the village. One was established by the Burma/Myanmar government and the other one was established by the KNU. Even though there are two clinics in the village, the healthcare services [provided] and [the standard and quantity of] healthcare workers are inadequate. Also, in Wa Ka village, Wa Ka village tract, Kyonedoe Township, Dooplaya District, a clinic was built by the Karen Department of Health and Welfare (KDHW). This clinic is a free community healthcare clinic that is available to any sick person from the village and from other villages as well. 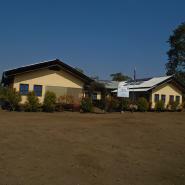 This clinic is the best equipped healthcare clinic among local Karen healthcare clinics. On November 10th 2017, a 19 years old pregnant woman named Nee K’Mwee from Htee Saw Shee Nee village, who was newly married, died during childbirth. She died during the delivery process because of inadequate medical supplies in the village. In addition, she could not access healthcare services in town to deliver her baby due to the distance and high financial cost. The midwife in the village who looked after this pregnant woman now faces problems after the death of her patient, Nee K’Mwee, because she was questioned by Burma/Myanmar government workers. The burden of the deceased pregnant woman fell on her [the midwife] and she was questioned a lot. She felt so upset that she gave up her work as a midwife. 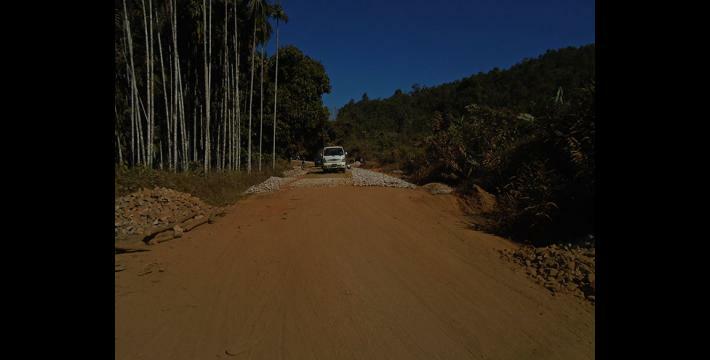 In 2017, a road was constructed in Htee Guh Thaw village, Htee Guh Thaw village tract, Kyonedoe Township, Dooplaya District. 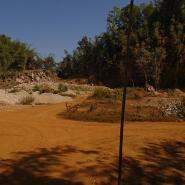 The road was constructed in two parts [areas] on either side of the village. 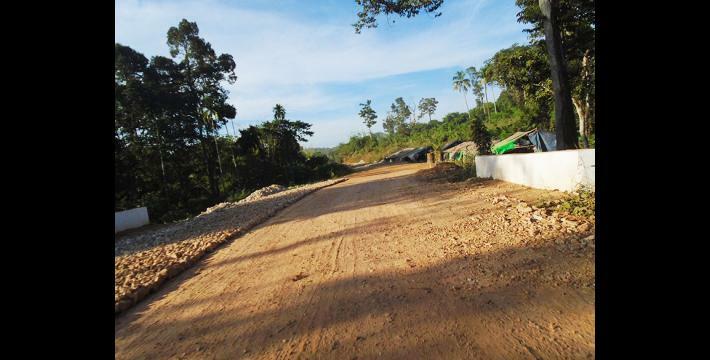 One part of the road was constructed by the Regional Development service and cost about 10,000,000 kyats [$7,473.60] for one mile built. 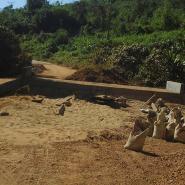 Funds were provided by a construction company called Aung Si Htun Company. The road is four miles long. 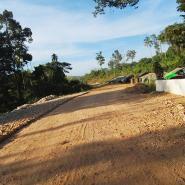 The village leaders informed villagers about the road construction process before it started. However, villagers want to get compensation for their plants [along the roadside] that were damaged by road construction. U Khin Zaw was the man responsible for constructing the road between Kyainseikgyi and Khoh Ther Pler [Three Pagodas] in 2017 and 2018. The road construction project will be terminated according to the specific timeframe. 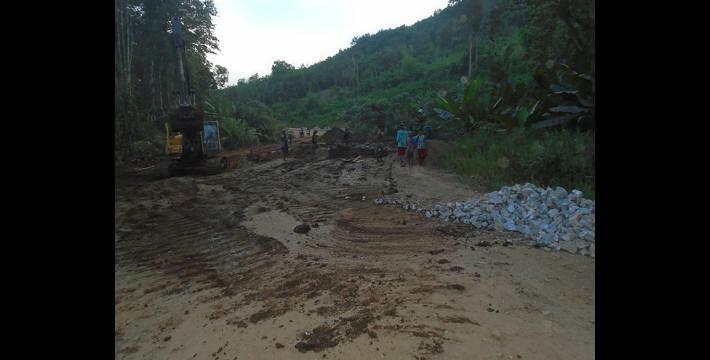 On December 19th 2017, in Noh T’Kaw [Kyainseikgyi] Township, Dooplaya District, local people faced livelihood challenges because of the road construction project conducted by the Man Myit Hein Company. 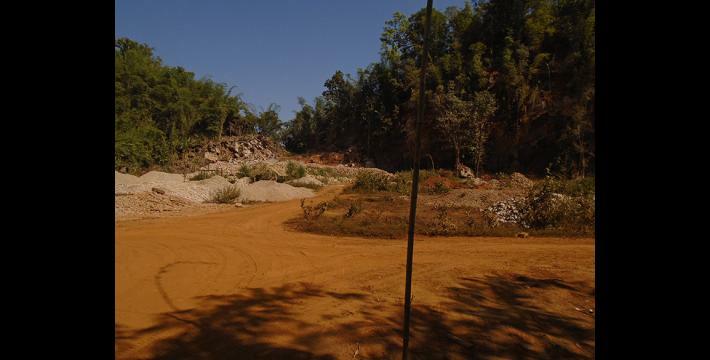 The road construction project between Khoh Ther Pler and Kyainseikgyi started in 2013 and has not yet been finished. 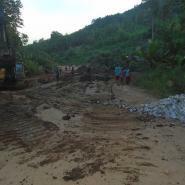 The person responsible for the project is a wealthy individual named U Khin Zaw who had a contract [for road construction] with the Burma/Myanmar government. U Khin Zaw is Mon ethnic person who lives with his family in Kyainseikgyi Town. His representative was U Htun, a Tatmadaw Commander who also lives in the same town. 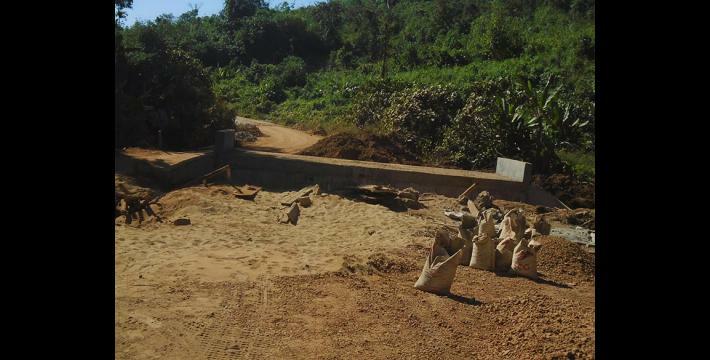 U Htun manages the road construction process conducted by U Khin Zaw [Man Myit Hein Company]. The construction workers include Burmese and Karen [ethnic] people who came from distant places [migrated from other states in Myanmar]. Some workers reported that they did not receive the adequate wages that were agreed on with the company from the start. Therefore, some workers left the job without getting their salaries. For instance, a driver who worked on the road construction project did not receive his salary as agreed upon with U Khin Zaw [the company owner]. Therefore, he left and found another job as he did not dare to ask for his salary from the chief worker. This is because workers claimed that they were scared of the chief worker U Htun because he used to slap workers, threaten them and put a gun to their heads. There were about two to three workers who reported that they were threatened in this way by U Htun. Moreover, they [the workers] were not given regular meals and breaks during work. The workers expressed that they did not dare to continue to work because they were afraid that the chief worker U Htun would kill them arbitrarily. The chief worker U Htun used his power to threaten the workers. In 2017, the Tatmadaw were active in Noh T’Kaw Township, Dooplaya District on the route between Kyainseikgyi and Kyaing Don Town. The group of Tatmadaw who was active in Hset Ko Maing village was Light Infantry Battalion [LIB] #283 led by the Company Commander Myo Khaing Zaw. There were more than ten soldiers in this group. This Tatmadaw LIB has been based in the same place since November and as of December 25th [date of report submission] they have not moved anywhere else yet. This Tatmadaw group has not caused any problems for local villagers. 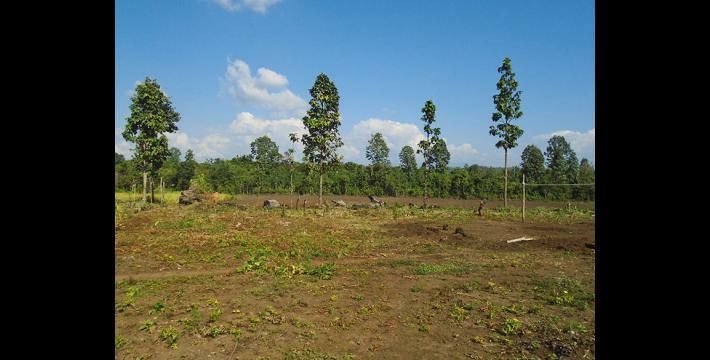 However, there was a local military group that has been based in this place, which is the Democratic Karen Benevolent Army (DKBA) splinter group. 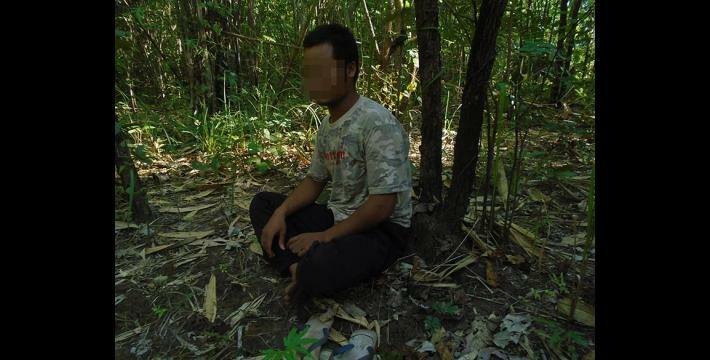 The DKBA platoon Commander expressed that this Tatmadaw group is offending them [the DKBA] by causing arguments and entering the restricted DKBA area. In addition, local people have observed that Tatmadaw activity is increasing, as they are traveling more and also transporting rations. Some villagers reported that the Tatmadaw treat local people disrespectfully when they encounter them. 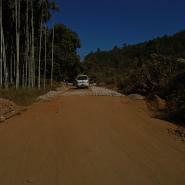 Especially when the Tatmadaw drive on the narrow road, they do not make room for villagers’ vehicles. Villagers who ride motorbikes are afraid of Tatmadaw trucks and make sure to avoid them. Some villagers have gotten injured by falling on the road to avoid Tatmadaw trucks. Local villagers reported that the Tatmadaw should respect local people as it is a period of peace process. The information described above is based on the experiences of local people. Overall, some aspects of healthcare, education, development, livelihoods and military activities have improved. However, some communities in rural villages could not yet access services and still face challenges. A standard refers to a school year in the education system of Burma/Myanmar. The basic education system has a 5-4-2 structure. A Primary school runs from Standard 1 to Standard 5, lower secondary school is Standard 6 to Standard 9, and upper secondary school is Standard 10 to Standard 11. All conversion estimates for the kyat in this report are based on the March 15th 2018 official market rate of 1,327 kyats to US $1. KHRG has reported on multiple incidents involving LIB #283 causing significant risk to villagers in the local area. For example, one villager was shot at by LIB #283 whilst using the road from Kyaikdon Town in 2014: “Dooplaya Situation Update: Kawkareik, Kyainseikgyi and Kyonedoe townships, May to October 2014,” February 2015, KHRG. KHRG has received multiple reports on the risk posed to villagers by the presence of military trucks in Karen State, see for example: “Collision between Tatmadaw military truck and a villager’s motorbike in Thandaunggyi Township, Toungoo District, May 2016,” October 2016.